WordPress Plugin Staff List Table – Overview. 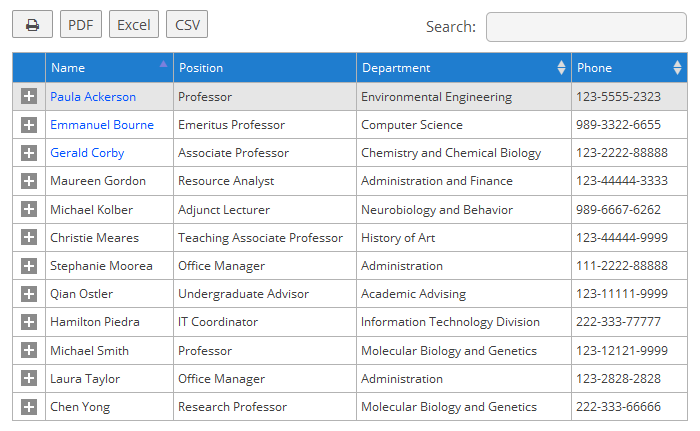 Staff List Table displays staff member records in a tabular format. Staff List Table is a plugin extension. It won’t work in standalone mode. Staff List Pro has to be installed and activated. Responsive. Check out live previews on iPad and other mobile devices. Category, AZ and other filters.